Published on: October 22, 2010 by George K.
Solution was to specify another source as below, which was the 302 redirection of http://gems.rubyforge.org/yaml . May be gem now handles the 302 redirection properly. followed by the gem update itself. 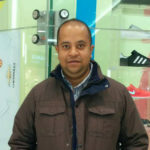 George started his career in web hosting and Linux technical support in the year 2004 and is with SupportSages since 2009. He has keen interest in server optimizations, custom security solutions, hacked server recovery, cyber forensic and high availability fail over system design and implementation. George loves long drives and is passionate about art and literature.